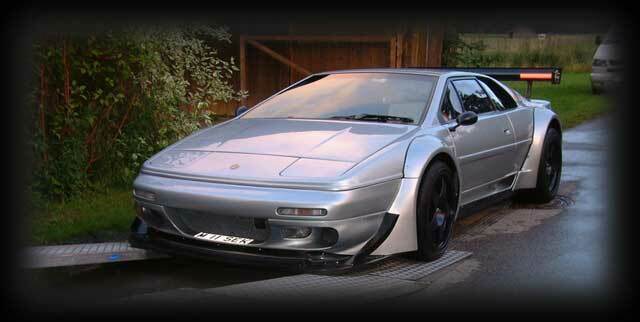 The original intention had been to transport the car to R&B in Germany with a view to performing a complete top and bottom-end rebuild. The rationale was that a complete strip-down and inspection would be the only way to establish the true extent of the damage and ensure corrective action. After discussions with Mike Haines and considerations to the amount of bespoke work (not least the Engine Management), it was decided to have the car returned to him in the UK. The job of collecting the car was given to a Company called ´On Time´. They dispatched a specialised car transporter, but unfortunately, the car could not be loaded due to problems with the ramp angle. 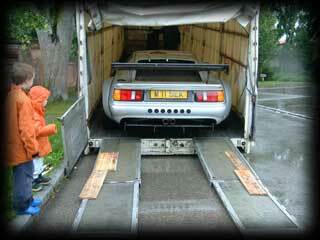 Despite attempts to aid the loading with long planks etc, the collection was abandoned. 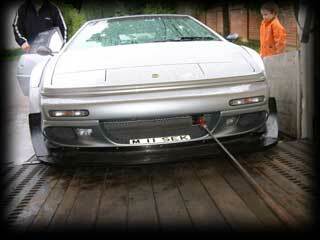 A second attempt was made using their special race car transporter. This was successful and the car has now been delivered to Mike for investigation. More news as soon as the engine damage has been assessed.